The following are actual testimonials sent in to Scientific Bass. They are what professional guides and professional fishermen have to say about out products. To submit your own product testimonial, please click here . To see a picture of this hog click here. #77. Having the opportunity to fish as a professional guide and fish in multiple tournament circuit I have experienced the best ant the worst of fish attractants. Without a doubt the best fish attractant I have ever used has been nothing less than Kick'n Bass®. A very surprising amount of my clients have never used fish attractants in their life of fishing simply because they try one brand that they are unsuccessful with. I've often offered my clients Kick'n Bass®, the average response that I received is "No thanks, the attractants are useless." In less than thirty minutes into fishing and four or five bass later the clients usually have a change of heart about Kick'n Bass® fish attractant. It is a real confidence booster for me as well as any bass fishermen. I rest 100% assure when I have Kick'n Bass® on my bait, from jigs to lures, it won't be long before I have my first bass in the boat. Feel free to contact me at 817-296-9414 if I can assist you with a guided trip. I guide many lakes including the one of your choice. Jody Bruce, 3001 CR 312. Cleburne,TX 76031 To see a picture of Jody click here. #75. Ben Parker,,, Bass have a highly developed olfactory organs. Ken Kross President of Kick'n Bass® has confirmed that bass are indeed able to distinguish among subtle odors. I personally feel that bass use this ability along with their senses of sight, sound and feel to select their food. Many times Bass strike out of reflex or anger. It's when the Bass are really picky and lethargic that I pick up my jig and pig and give it a good dose of Kick'n Bass®. It's the trick to persuading the big ones to bite. Kick'n Bass® is a magic ingredient. It works for me and I promise it will work for you. 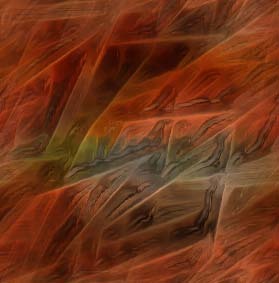 #72. I appreciate your contributions to the sport of bass fishing by creating a product that helps all of us to catch more fish. Recently while fishing on a lake near the DFW metroplex with friends we put Kick'n Bass® to the test. There were three of us fishing in a 20 ft bass boat. We let the guy in the middle use Kick'n Bass®, the other two used the same bait but no Kick'n Bass®. Fishing was slow. An hour and a half later the guy in the middle had caught 6 fish. The largest bass weighed six pounds. The picture of the fish was published in the "Outdoor Times Magazine." Just another testimony to the effectiveness of Kick'n Bass®. It will help you catch more fish. If the bait looks like something the fish will eat and smells like something they want to eat you can't go wrong. The bass bite and will not let go. Thanks again, "Reel Outfitters Professional Guide Service Texas". Justin Turnage 254-687-2949. #69. I have been fishing tournaments for about 9 years and have played with a lot of scents over the years. Kick'n Bass® for the last 6 months has been a very big part. I believe in putting more fish in the live wells for myself and that really adds up at the end of a long hard day in a tournament. I believe it stays on the baits longer than any product I have ever used. Thank You Arthur Tucker, Alvrado Texas. #68. Dear Greg; I would like to start out by saying Thank You for sending me samples of Kick'n Bass® Fish Attractant. I have used the Walleye and the Bass attractant on my lures and I have had great success while using it. It is a great product that I plan on using with the people I fish with. When trolling crankbaits behind planner boards I used Kick'n Walleye on all my lures and it caught twice as many walleyes than those without the attractant. I have used the Kick'n Bass® attractant on my Depth Raider and bucktail lures for muskie and it has worked well on them too. I believe that it will make a difference between catching fish or not. Thank you Steve Schram, Waukesha WI. #67. I am on the Kick'n Bass® pro staff and would like to tell you about a 5.6 smallmouth that I caught and released Dec 12,1998 at Lake Whitney. She was turned loose after weighting on certified scales, she was "Big Fish of the Tournament" and also "Big Fish of the Year" with the club I was fishing. I caught her on a crankbait in 20 feet of water with Kick'n Bass® Garlic scent. I only had 4 bites all day and 3 of the 4 were all over 4 pound Smallmouths. One over 7 pounds was shook off right at the boat, the 5.62 was the only fish in the boat, but it was all I needed to get in the $$$$$ money. Thanks so much for a truly fantastic product. Mark "Worm" Milward. #65. I Steven "Smitty" Smith being of sound mind and body swear that if you ever wished you could use live bait in a tournament, Kick'n Bass® is as close as you can get unless you use dynamite. Fish don't stand a chance against Kick'n Bass® Smitty, Acampo, California. #64. I just wanted to drop you a line and let you know what I think about your Kick'n Bass® fish formula. I just recently worked the annual Forth Worth boat show and conducted several seminars promoting one of my sponsor's baits, the 4 inch "Texas Critter". As we all know bringing fish from their natural domain and putting them into a foreign environment such as a tank can be stressful to the fish. So as you can imagine the fish would not even look at the bait that I put in front of them. Someone from a previous seminar had left a bottle of Kick'n Bass® in the demonstration boat, so I reached down and sprayed a little on my bait. Mr. Kross you would not believe the attention that I received, from the fish that is! I could not keep the fish from taking the bait. I'm up there trying to show the people how to fish this bait and the fish would eat it before I could demonstrate how to work it. Let me say that I honestly believe in scents on my bait. Up until I was introduced to Kick'n Bass® I was pretty confident that I was using the right product. I will fish approximately 15 to 20 tournaments a year and I must utilize every advantage that I possibly can to catch fish. When my seminar was finished I asked Kirk Armstrong of Pro Fishing about Kick'n Bass®. When I learned about the formula itself and how it was developed I was convinced that Kick'n Bass® would be in my boat from now on. Thanks to Mr. Ken Revell I be helping you promote your product through my exposure out in the field. This will undoubtedly be the easiest promotional work that I do. Sincerely, Ray Wagnon,Texas. #60. Notice for everyone who needs an extra edge when tournament fishing or just fishing. I have been using Kick'n Bass® the last 2 years on the FLW and B.A.S.S circuits. Kick'n Bass® applied to your bait makes the Bass really hold on to your bait. It will not take long to make you a believer once you try it. Thanks Professional Bass angler Michael S Courtney, Pine Bluff AR. #59. Dear Sirs; I would like to take this opportunity to tell you this. I was given one of your bottles of Kick'n Bass® formula by Roger Jones here in Richmond VA. This is one of many formulas that I have tried over the years and I really think this may be the best I have ever used. I let my partners in the Red Man Tournaments use some and got the same reaction from them. Just wanted to drop you a line and say thanks for turning Roger on to Kick'n Bass® and let you know how much I like it! Thank you Mike Ives. #57. Kick'n Bass® is by far the best fish attractant on the market. I have never used any other attractant that will last longer with one simple application. The powerful scent of Kick'n Bass® stays with my lures cast after cast. The natural oils used in Kick'n Bass® aided me to becoming the Texas representative for the 1999 Wrangler/B.A.S.S. National Championship. Thank you Kick'n Bass® Jerry David B.A.S.S. Federation, Angler's Choice, AFW Fishing Team, Texas 100 Pro Team. #56. I was using your product before Ken Revell asked me if I would help endorse Kick'n Bass®. To me this product really works great. I fish B.A.S.S. Central Division and guide on Richland Chambers lake in Texas. 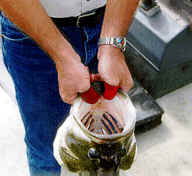 In June 1997 while two clients were using Kick'n Bass® garlic we caught two 9 pound bass back to back. The only thing they said was how great this scent was, but it made them want a bowl of Spaghetti! Lloyd Parker Ovilla Texas parker@fastlane.com for a picture of Lloyd Click here. #55. I am an avid tournament fisherman and over the last several years there have been many scent products on the market. Some you dip and some you spray, I have tried them all. But I have never used a better product then Kick'n Bass® made by Scientific Bass Products. Being oil based the scent stays on your bait longer and the fish hang on longer when the fishing is tough. For the bass fisherman it comes in two flavors (Garlic and Crawfish) for any type of fishing you do. I feel it has enabled me to catch more fish and cash more checks this year. I will guarantee you if you spray your bait with Kick'n Bass® you will catch more fish. Chance Mitchell Arlington Texas. To view a picture of Chance click here. #53. 1-9-99. I met Ken Revell 15 years ago and times have changed tremendously in those years. We were going to fish the Mc'Donalds Big Bass Splash on lake Fork in August with 100 degree temps. I got some Cream Screamer worms and soaked them in Kick'n Bass® Garlic, Ken told me to be sure and soak them down overnight. We pulled up to our spot at first light and I picked up a C-rig rod and placed one of the worms soaked in Kick'n Bass® on. To my surprise as soon as it hit the bottom a fish hit. That fish weighted 8 pounds and won me $800. This is by far the best attractant I have ever used and it does work. If you want to catch fish and put the odds in your favor, try some the next time you go fishing. Kenny Marshall. Tournament angler, Fort Worth Texas. #51. Thomas O'Bryant Jr Fort Worth Texas Dec 16, 1998. Hi My name is Thomas O'Bryant and I am an avid Bass fishermen from Fort Worth Texas. I have been tournament fishing for sixteen years in more than 15 states. I would like to tell you about a product that will increase your catch. That is a bold statement, but after 16 successful years I know certain products do help catch more bass. I'm talking about an oil based scent called Kick'n Bass®. I can tell you that I have used many different scents and none of them stay on your bait after more than a few dips in the water. They wash off almost immediately. Kick'n Bass® is oil based so it stays on your bait longer. There are two flavors for bass Garlic and Crawfish. I have been using Kick'n Bass® for over a year and can say it is the best lure attractant I have ever used. Kick'n Bass® is a crucial part of my arsenal and significantly contributed to my selection as "Angler's Choice" Co-Angler of the Year for the Dallas, Fort Worth Region in 1998 and Navy Angler of the Year for the Military Bass Angler's Association for 1998. I use Kick'n Bass® on every lure I use, but particularly like to use it when I am flipping of pitching worms or jigs. Kick'n Bass® increases your hits, especially when the fish are not very active. The fish hold on to your bait longer, which will allow the fisherman more time to react and set the hook. Kick'n Bass® also makes the lure, and line more slippery which helps when you are flipping grass or very thick cover. It allows your bait to slide into those hiding places for lunkers. I know Kick'n Bass® help's me catch more bass and I know it will help you too, try it on your next fishing trip and it will increase your catch. #47. I was fishing a Grandbury Texas lake Open. I caught 4 bass total weight of over 18 pounds (4.5 pound average) using Kick'n Bass®. I truly believe that it was the Kick'n Bass® Crawfish formula sprayed on a Venom lizard that did if for me. The cool thing about this catch was I was not only fishing the Grandbury Open, I was also fishing another tournament called team Concepts at the same time. I WON BOTH EVENTS, TOOK 1 St. PLACE IN BOTH. Thank you Kick'n Bass® Troy L. Reaves Azle Texas. For a picture of Troy click here. #46. I wanted to thank you for a fantastic product! I started using your product last summer ( the toughest part of the year) and I kept catching fish while others were not. I ended up ANGLER OF THE YEAR in 1 club finished with over 90 lbs. and 2nd place angler with 94 lbs. in another tournament with over $2,000 in cash in 1998 thanks to your product. I'm really excited to see how well it will help to use Kick'n Bass® for a whole year! Thanks again for a truly fantastic products. Central Texas Pro Mark Milward. For a picture of Mark click here. #45. I recently was in Louisiana on the Red River for the Anglers Choice finals. The first day of competition was extremely tough leaving me with only three fish to weigh in. This left me down in the twenties. That night at the hotel when I was working on tackle I found a bottle of your product in Crawfish scent a friend had given me. I smelled your product and it smelled so much like a crawdad I walked around the parking lot letting everyone smell your product. Then I squirted several squirts into a bag of zipper worms and sealed the bag so they sat over night in the scent. The next morning I pulled out of of those zippers and FIRST FLIP I BOATED A 3 POUNDER, SECOND FLIP A 4 POUNDER. I thought this was a fluke but forty fish later was a believer. I weighed in 13.46 THE HEAVIEST STRINGER OF THE SECOND DAY! this bumped me up to fifth place overall. What a day and what a product this Kick'n Bass® Crawfish scent is, it is the best attractant I have ever used. Thank you Kick'n Bass®. Steve Tosh jr. Modesto CA. #44. Jan 10, 1999. I would like to personally thank you and your staff for all the hard work you have done in developing and making available to the public the best fish attractant I have ever used. I fish in excess of 25 tournaments a year and Kick'n Bass® had consistently contributed to my success because of it's obvious effect on bass. It simply causes them to bite when they might otherwise just look at a bait and swim off. This time of year, early spring, before the pre-spawn even, bass are particularly hard to catch as a rule. By using Kick'n Bass® I am able to get those bites that I may normally not get. It simply gets me more bites which in turn gets me more fish in the boat, thus increasing my odds of beating the field. For those of you who wish to get the edge on you competitors or if you simply just want to catch more fish, you must try Kick'n Bass® Once you have, I'm sure it will become a permanent part of your fishing arsenal as it has mine. Mark Shores, Irving Texas. For a picture click here. #40. Unbelievable: that's the only word that comes to mind concurring your product. I was introduced to Kick'n Bass® a few months ago. I have always been skeptical about scents and wondered do they really work? Kick'n Bass® erased any doubts, it gave me one of my greatest experiences on the water and is no doubt a reflection on your product. Armed with jig-n-pigs Eddie Robert's and I hit Ferriday lake at noon on Dec 6 Th. We generously doused our baits with Kick'n Bass® garlic scent. I've caught many bass on jigs and the feel through the rod was always the same, a simple bump and that's it. Well that has changed. Not only were we feeling that bump, but could actually feel the fish continuously eating the jig before the hook set. After 15 bass ranging from 2 to 5 lbs. I knew this product was no hoax. Thanks Eddie Roberts for introducing me to this phenomenal product Kick'n Bass® John Bruce Vidalia LA. #39. I believe Kick'n Bass® is the finest product on the market today. It is oil based and the scent stays on your bait 10 times longer then its competitors. It not only masks human scent but it is an excellent fish attractant. I believe it makes a tremendous difference when the fishing is tough. It is a mayor part of my bass fishing arsenal. When you fish as many tournaments as I so you need the added edge, that's why I have a bottle with me at all times when I am fishing. Chance Mitchell Professional Tournament Angler, Arlington TX. For a picture click here. #37. 2-1-98. I've been fishing professional tournaments for a good while now and fishing in general for an even longer time. I started using Kick'n Bass® fish attractant and have seen positive results catching fish, it has really been a real asset in my fishing. I was fishing draw tournament on Lake Limestone late Oct of 1997 and was using Kick'n Bass® and managed to win the tournament with tournament total weight of 17.98 pounds. I really am convinced that Kick'n Bass® was a real attractant that day. It helped me put fish in the boat. You can use it one day and TWO WEEKS LATER YOUR BAIT STILL HAS THE AROMA OF Kick'n Bass® Now that's phenomenal. When you get a bit you will have to make a big effort to get the fish to let go, that's how well it works in practice. This gives you plenty of time in a real t to set the hook. Fish love it and so do I. Jack Fitzgerald, Pinehurst Texas. To read testimony # 1 to 18 please click here. To read Testimony # 19 to 33 please click here.